The regulatory spat between the DGCA and MHA is good for the future of drones in India, leading, as it hopefully will, to a holistic framework and not a blinkered approach. The turf war over the regulation of unmanned aerial systems (UAS) between the Directorate General of Civil Aviation (DGCA) and the Ministry of Home Affairs (MHA) was a foregone conclusion when the latter called in for consultations almost a year after the former had formulated draft guidelines. In response, the DGCA has set up a committee of regulators and security agencies, for ‘finalising’ regulations for UAS. Such inter-ministerial bickering is neither new nor in any way unnatural, given that regulatory stipulations don’t operate within sanitised boundaries. This, however, results in inadvertent, yet avoidable, policy paralysis. Historically, as with most robotic applications, unmanned aerial vehicles (UAVs) developed from hobbyist pursuits of pioneers and gained a further impetus due to their military applications for works considered “dirty, dull and dangerous”. However, at the turn of the millennium, their civil applications grew considerably, owing to advancements in computational, imaging and communication technologies. The potential civilian uses, today, are unequivocally innumerable, limited only by the temporality of imagination. 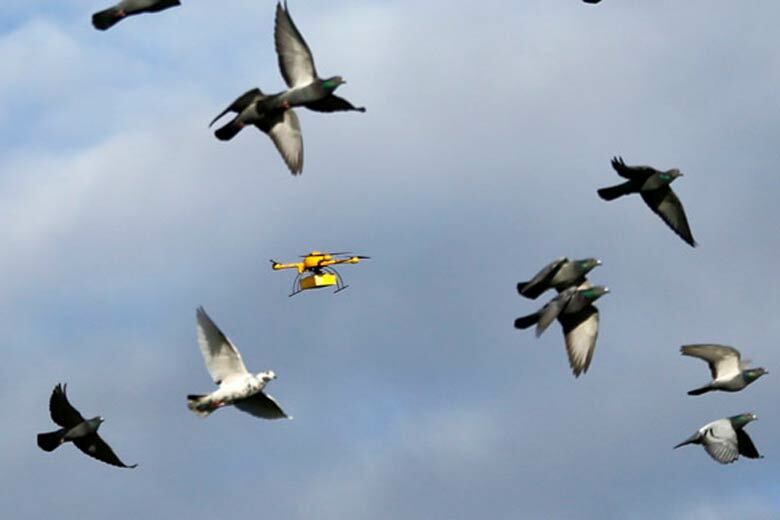 In India, as we reimagine technology-powered governance, drones have been proposed for the use of crop insurance claims, geo tagging of assets, surveillance of national parks, crowd management, etc. However, like the benefits, the potential threats they pose to safety, property and privacy are undefinable, limited only by morbidity of imagination and omnipresent due to operational negligence. It is in this context that the ministerial tussle can be located. Prima facie, definitionally, UAVs fall within the jurisdiction of the DGCA. Section 2(1) of the Aircraft Act, 1934 (the Act) defines “aircraft” as “any machine which can derive support in the atmosphere from reactions of the air, other than reactions of the air against the earth’s surface and includes balloons, whether fixed or free, airships, kites, gliders and flying machines” (identical definition as Annex 7 of Chicago Convention, 1944). Further, section 4A of the Act entrusts to the DGCA the performance of safety oversight functions. This jurisdictional claim of DGCA is further strengthened by the stand of the International Civil Aviation Organisation (ICAO). The ICAO has stated in the past (in parts of the Chicago Convention) that “whether the aircraft is manned or unmanned does not change its status as an aircraft” because it locates unmanned aircrafts in the continuum of technological advancement of aircrafts. Consequently, while discussing the various regulatory aspects, it unhesitatingly discusses the role of the “State Civil Aviation Authority” and does not contemplate a division in jurisdiction with respect to UAVs. As a signatory of the Chicago Convention, this is sure to hold persuasive value in India. From a comparative perspective, Australia, Canada, China, France, Germany, Israel, Japan, New Zealand, Poland, South Africa, the UK and the US, all vest the jurisdiction with their civil aviation authorities. None of them transfer authority to a body that has not been traditionally regulating the civilian airspace. Therefore, both legal and comparative empirical authority seem to rest heavily in favour of maintaining the jurisdictional control of the DGCA. However, before holding in favour of the DGCA, it would be prudent to consider whether there may be reason to deviate from the norm. This, especially so, because the central government has the power under Section 3 of the Act, to “exempt from all or any of the provisions of this Act any aircraft or class of aircraft”. First, the biggest worry in handing over the jurisdiction to the DGCA seems to stem from the level of (in)competence it reflected in its draft guidelines. These guidelines came under heavy criticism for the slipshod treatment of property and privacy concerns, apart from the obvious overlooking of international best practices. For example, while almost all jurisdictions consider a matrix of a drone’s weight, purpose, altitude and distance of flight to calibrate regulations, the DGCA proposes no requirement of an Unmanned Aircraft Operator Permit (UAOP) for civil operations below 200 feet. It can be discerned how dangerous this might be, given the logically-extreme imagery of a multi-tonne unmanned airbus flying below 200 feet actually fits neatly in the stipulation (or lack thereof) of not requiring a UAOP. The second problem is particular to India. 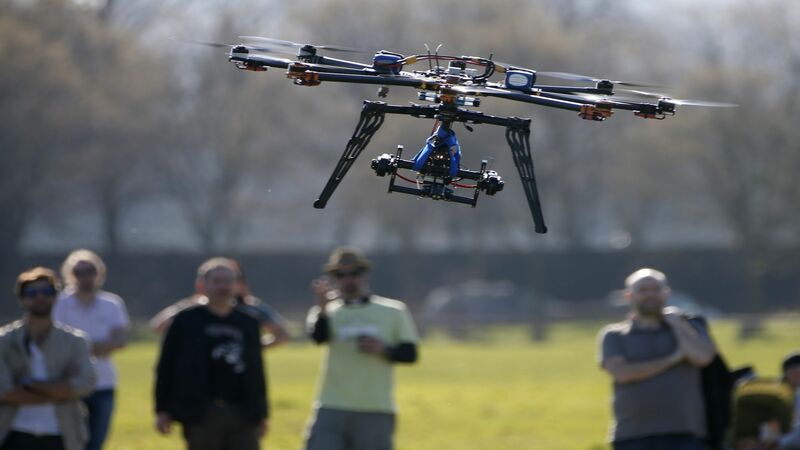 Most of the literature on drone regulation classifies regulation on the basis of aforementioned categories of weight, purpose, altitude and distance of flight of the UAV. What is missed is the regulatory differential that comes into play with population density. For example, the four categories that France classifies its drones into, for commercial purposes, require that either when they are flown within a populated area they shouldn’t fly over any third party or not flown at all. Similarly, Japan has amended its Aviation Act in 2015 to prohibit drone flying “over a place where an event attended by many people is being held”. China requires operators to report to the UAS cloud at least every second when in densely populated areas. The Federal Aviation Authority of USA has only recently opened up discussions on the feasibility of commercial drones over highly populated areas. This rationale of risk of greater harm in highly populated areas has to be considered still more seriously in the Indian context because our spatial planning does not compare to developed countries. India has the second highest urban population density in the world. Therefore, security and safety aspects of UAVs should weigh heavier on the Indian mind. This makes a case against the carte blanche authority of the DGCA, that has managed operations in controlled airspaces. The third, is a further extension of the safety aspect. Foremost, the DGCA, in its own draft guidelines, relies extensively on the ‘local administration’. Their role extends to permitting flight for drones for which UAOPs are not required. This requires unmitigated and seamless police cooperation. Next, the security architecture and infrastructure that would be needed to be put in place for a decentralised airspace is arguably beyond the gambit of the DGCA. For example, setting up of electric fences to stop UAVs from entering prohibited airspace. Further, expertise in cybersecurity still remains limited with central agencies and task forces. Moreover, and most fundamentally, the availability of the required technological capability to detect low flying UAVs with the DGCA is also circumspect. Compound to all the above concerns that the incentive for safety related self-regulation may not be as compelling for a hobbyist drone flier as it is for airlines and the DGCA’s claim of exclusive jurisdiction undisputedly stands on shaky ground. However, to conclude from all the above reasons that the MHA should get the jurisdiction is problematic, not least of all because there could be other contenders in the ring. For example, there could be uncertainty in the say that the Department of Telecommunications would have for the allocation of spectrum/bandwidth to UAS. Similarly, the IT ministry would be keen to delineate its authority in the approving of new design lines and technology of drones before their use in India. For offences, such as hacking, committed against the UAS, there would be overlapping between the anti-hijacking and cybercrime law. This would lead to sectoral run ins which hampers long term business investment. Not only within the central government, creases need to be ironed out between the centre and states. In India, the power to legislate on UAS seems to fall squarely with the Union via entries 29 and 30 of List I, schedule VII. However, in the US, issue of federal jurisdiction has been initially contested. Although, it has been settled in favour of the Federal Aviation Authority, state regulations are allowed as long as they don’t conflict with the former. This has led to over 40 states considering laws and regulations, providing one with interesting insights into the particularisation of the law. In the Indian context, there should be more involvement with the states on aspects of notifying restricted and permitted areas for UAS operations, height at which the UAV may operate, purposes (for eg. reconnaissance) and entities that would be allowed to operate UAV with standardised permissions. In doing so, a top down approach of an MHA legislation needs to be reconsidered. Another issue with federal connotations is that there might be state amendments to provide for extenuated punishment for offences committed using drones (entry 1, List III, schedule VIII). Broader consultations will also be required on states using UAVs for surveillance by way of amendment to the Code of Criminal Procedure, 1973. This becomes more important in the context of the recent privacy judgement by the Supreme Court that requires revisiting evidence law jurisprudence in India. Last of all, an MHA legislation would be problematic because of the perspective it comes from. Undoubtedly, the UAS technology is still developing and state’s caution towards safety and security concerns is well advised. But, policymakers should not see crippling restrictions as a logical culmination of regulation. By doing so, we handicap ourselves from benefiting from the full potential of the UAS technology. The European Aviation Safety Agency outlines two main goals for UAV regulation, one of which is to “foster an innovative and competitive European Drone industry, creating new employment, in particular for SMEs [Small and Medium-sized Enterprises]”. For this, it advocates “proportionate, progressive risk based” rules. To allow for such flexibility, we need to have a more permitting approach to regulation. The field should not be so cribbed and confined that for every new commercial application of the technology, exceptions from an overarching prohibition have to be created. Worse still, a culture of non-compliance. Despite the DGCA’s blanket ban on UAVs in 2014, it is not uncommon to see them being at events for aerial photography. Reams of paper have been used brainstorm and put forth the way UAVs revolutionise commerce. Business models like Amazon Prime Air, Project Wing of Google, Facebook’s Aquila are being shaped around UAS. In our push for “Make in India”, it will be foolhardy to have a blinkered view of commercial technology. Therefore, rather than a bid to outdo one another’s claims to regulate UAS, what is required is better identification of the stakeholders in drone technology. As shown above, this will range from security agencies, Bureau of Civil Aviation Security, DGCA, information technology experts, telecom regulators, state governments, local administration, industry experts and start-ups. This is not expected to lead to a perfect legislation all at once, but it will ensure that India’s continuing evolution towards a holistic framework for drones will not be chequered. Trishee Goyal is a lawyer and freelance researcher.